I remember when I was a pre-schooler, the day our World Book Encyclopedia and Childcraft How and Why Library sets arrived. They lived in their own custom-built bookshelf and went with us whenever we moved house. I was contemplating selling them this year to free up space or failing that, surrendering them to the compost heap. Now, after spending time with Lenny and Davey, I’m not so sure. Like their Burrell’s Build-It-At-Home Encyclopedia, each lettered volume holds countless childhood memories anchored in place by facts and figures now hopelessly out of date but somehow still completely valid. How does one discard their former life – a childhood of countless special moments and first-time discoveries – so decidedly? Moreover, how does one describe Lenny’s story. Wrenching (you will need tissues – preferably 3 ply), soaring (pack your wings), absorbing (allow for a few sleepless nights spent page turning), tragic (get another box of nose-wipes just in case). 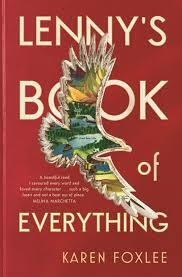 Lenny’s Book of Everything is a story with a heart as big as Phar Lap’s and gallops along at a pace that both rips you apart emotionally but is simultaneously restorative and mindful such is Karen Foxlee’s talent for powerful story telling. This story describes the relationship between Lenny, her younger brother who has a rare form of gigantism and their beleaguered mother. Theirs appears a drab ‘moon-rock’ coloured existence yet flashes of brilliance strike everywhere, everyday: their mother’s pink work uniform, the pigeons on their windowsill, Mrs Gaspar’s outrageous beehive, the ubiquitous letters from Martha Brent and of course, her regular dispatch of encyclopedic issues to them. All conspire to create warmth and hope and put the reader at ease while sweeping them ever closer to the inevitable conclusion. Now that the CBCA Short List has been announced, it’s time to start preparing for Children’s Book Week in August, when the winners are also announced. This is my third post about Book of the Year: Younger Readers and I have already posted about Picture Books and books for Early Childhood. Teachers, librarians and parents may be interested in sharing these books with young readers. I have included a range of activity ideas. 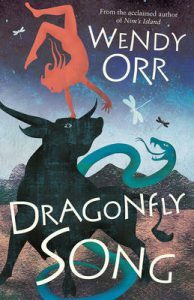 Dragonfly Song dances far back into historical fiction – to the Bronze Age in Crete where King Minos, the Bull King, demands an annual tribute of 13-year-old boys and girls. Aissa, named after the dragonfly, is born with extra thumbs and her father defies the gods by cutting them off. When he dies, the wise-woman takes the baby to a farm but her life there is destroyed and she becomes a ‘mute’ servant and then a bull dancer. Aissa summarises her life as a poem on pages 376-7. The writing is a mixture of prose and poetry and these both extend the narrative. There is recurring dragonfly imagery and snakes are a potent motif. This is a crossover novel for younger and older readers. Could some read it as a literary Hunger Games? Writing Children could write in the styles of both the prose and poetry. Sculpture They could google images of sculptures of Theseus and the Minotaur (on which part of Dragonfly Song is based), or use the cover illustration, and twist thin, coated wire to replicate the human and other figure in action (science: force and gravity). Dragonfly Jewellery Children could represent the dragonfly symbolism by threading coloured beads, particularly blue, onto wire to make brooches or other jewellery. 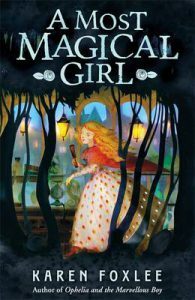 Karen Foxlee continues the speculative fiction with A Most Magical Girl, a fantasy for 9-12-year-old girls (in particular) about Annabel Grey who is sent to live with her witch great-aunts in their magic shop in London. These women can bewitch broomsticks or make a potion to turn someone into a wolf. At first Annabel doesn’t believe in magic, even though she can see visions in puddles, but she is enlisted into a quest to prevent Dark Magic and evil Mr Angel and his shadowlings and resurrection machine from overtaking London. Kitty, the wild betwister (someone who goes between ‘this world and that world’), frequents Highgate cemetery and other crannies and is also full of magic. She is able to create a ‘heart-light’. Readers could contrast these two girls, as well as smelly, eye-twinkling troll Hafwen who longs to see the stars. When Annabel and Kitty are sent ‘Under London’, they encounter trolls and a dragon. A map is somehow drawn onto Annabel’s skin. Children could read the descriptions about the map and use them to illustrate the visible skin of a paper figure or mannequin. The girls must find the Morever or White Wand to save the people of London. As well as a rite of passage and story about friendship, A Most Magical Girl portrays the battle between dark and light. Each chapter begins with an extract from Miss Finch’s Little Blue Book (1855) about manners for young ladies. These loosely correlate with the plot. Readers could write a brief alternate plot line to correspond with all or some of these extracts. The UK setting is interesting because, until recently, Karen Foxlee seems to have been better known and appreciated in the UK and US than in her homeland. Hopefully this is changing. 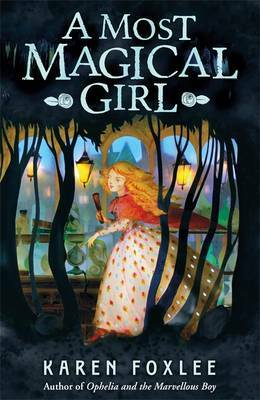 A Most Magical Girl is a very well imagined and constructed middle grade novel. A Most Magical Girl is a beautiful hardback publication and is a great companion novel to Ophelia and the Marvellous Boy. 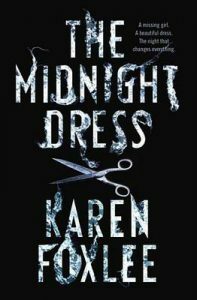 Older readers should explore Karen Foxlee’s YA novel, The Midnight Dress. It is an exquisitely written, wondrous tale. I will also write about the shortlisted books for Older Readers and the excellent Eve Pownall information books in upcoming posts. Halloween is a time of frights and treats, tricks and magic, guises and remembrance – All Saints’ Day Eve. A fitting time to indulge in a little fantasy and fun. Karen Foxlee’s latest mid grade novel, A Most Magical Girl combines all of these things and will have primary aged readers biting their nails in delicious anticipation. 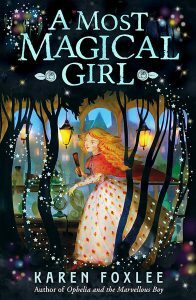 Utterly charming, frightful in places and marvellously magic in others, this is an adventure both girls and boys will find spell binding. Annabel Grey is a proper little lady of the Victorian times. She devoutly attempts to follow the sermons delivered by Miss Finch’s Little Blue Book, a bible of Victorian social etiquette and expectations but her good intentions derail after she is sent to live with her two aunts in London. They are Shoreditch witches and apart from being Annabel’s new guardians, unlock a heritage Annabel had no idea about, her ability to perform magic. However, Annabel has no time to dispute their proclamations because her unusual abilities allow her to foresee a terrible future for London and all who dwell there. Mr Angel, evil warlock of the underworld has built a sinister device to use with his black magic to destroy all of the good magic in the world and those who practise it. Only a most magical girl can stop him. Foxlee’s use of language is bewitching. Annabel’s adventure is fast paced and divinely otherworldly both in spirit and in setting. I thoroughly adored flying along on her desperate quest with Kitty and her strong-willed broomstick. I’m sure children will find A Most Magical Girl just as enchanting. Today Karen joins us at the draft table to reveal the magical places A Most Magical Girl sprung from. I love to tell my young audiences that kids and authors are pretty much the same when it comes story ideas. They always look dubious at first. Authors surely have a special library of previously unused ideas I can see them thinking. It’s locked away somewhere at the top of a turret beside their quills and their perfect first drafts. Their hands shoot up: from life experiences, from dreams, from things you see! From things you read, things that happened a long time ago, from things you hope for, from television! Story ideas start from things you overhear, from facts, from songs, from comic books, from movies, from computer games, from mixing your own life with the life of book characters that you love! From day-dreaming! Authors let ideas come, we day-dream, we are open to them. We store them away in our brain machine never knowing when we might need them. We put an idea from a year ago with an idea from today. We percolate ideas. We write them down without knowing what they mean. But, I tell them, there’s also another way that authors and kids are the same when it comes to story ideas. Their dubious expressions return. I clamber up onto a table. Now they start to look down-right worried. A Most Magical Girl came about as a combination of several ideas I explain. I was lying on my sofa thinking about a museum I’d visited a decade before. This museum was in London and it contained a recreated Victorian era street, where I wandered for hours. Years later, on my sofa, I closed my eyes and day-dreamed a carriage arriving on that street. I imagined a girl stepping down. She was pretty and a bit posh and also, I knew as I watched her, the owner of a secret. She stood before a shop window and read the words printed there. Miss E & H Vine’s Magic Shop. Wow, I thought. Magic. I love Magic. This seems good. What’s going to happen here? A chorus of replies: Just start! Just start writing! Just start even if you don’t know the answer! “Do you just LEAP into the story?” I ask. “Yes!” they shout, because they really want to see an author jump off a table. And so, because it is the absolute truth about authors and ideas and how they really are not much different to children, I LEAP! You’ll find A Most Magical Girl in the new Kids’ Reading Guide, here! 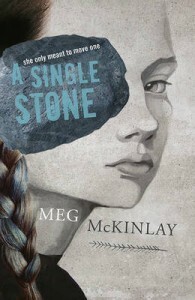 Australian YA writing is powerful, fresh and imaginative, creating spaces for thought and wonder. The finest novels from 2015’s field in my view are Meg McKinlay’s A Single Stone, an exquisitely written dystopia about lean girls who tunnel through stone. Younger readers in upper primary school can also read it and I hope that it finds a niche as a contemporary classic. Lili Wilkinson’s Green Valentine is a hilarious tale about popular girl Astrid and how she and Hiro transform their ugly suburb through guerilla gardening. Humour is difficult to write and Wilkinson shines in this, as well as inspiring readers to beautify their surroundings with nature. The Guy, the Girl, the Artist and His Ex by Gabrielle Williams is another urban caper loosely based on the real-life theft of a Picasso painting. Books about the arts often rank highly with me, as do books with an interesting structure. Fiona Wood’s Cloudwish centres on Vietnamese-Australian scholarship girl Vân Uoc Phan who adores Jane Eyre. The story becomes magically surreal when she wishes that she “fascinates” Billy Gardiner. Rosanne Hawke (interviewed here) writes hard-hitting yet compassionate stories based on young people in dire situations, often in Pakistan. 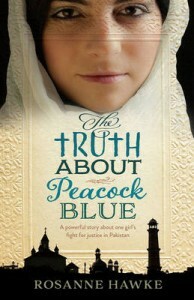 Her latest, The Truth About Peacock Blue follows Christian girl, Aster who is accused of blasphemy by her Muslim teacher. Her life is at risk. A number of topical issues are raised with sensitivity and balance. 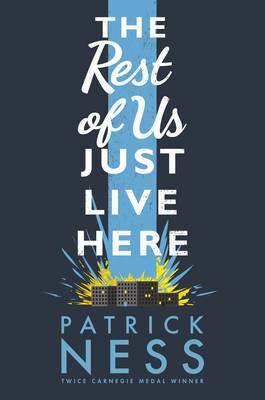 My international picks are award-winner Patrick Ness’s The Rest of Us Just Live Here, which follows the kids who aren’t in the cool group. Goodbye Stranger by Rebecca Stead is about Bridget whose friends seem to be growing up faster than she is. Stead always does something to surprise and parts of this novel are told in 2nd person. It’s clever and intriguing. Dumplin’ by Julie Murphy is a (mostly) feel-good story about a big girl who enters a beauty pageant. 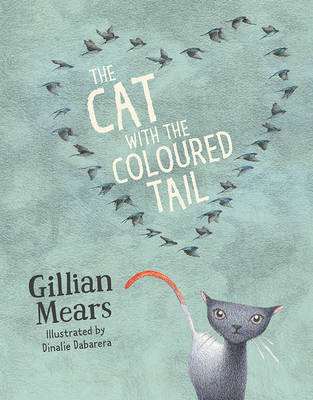 Highlights for younger readers are Molly and Pim and the Millions of Stars by Martine Murray, The Cat with the Coloured Tail by Gillian Mears, illustrated by Dinalie Dabarera, and Star of Deltora by living “imaginarium” Emily Rodda. I can’t wait to read novels coming for young people in 2016, including Iris and the Tiger by Leanne Hall, A Most Magical Girl by Karen Foxlee, Lady Helen and the Dark Days Club by Alison Goodman, A Tangle of Gold by the luminous Jaclyn Moriarty and James Roy’s new YA novel. 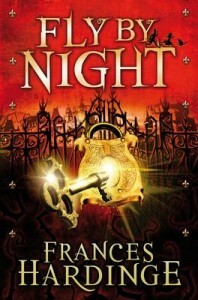 I remember reading Frances Hardinge’s first novel Fly By Night in a Rome apartment in 2006. I was caught up with 12-year-old orphan girl Mosca Mye and the guilds of the Fractured Kingdom in Hardinge’s alternate 18th century England. I remember almost having to force myself to go outside and explore the sights of Rome. My family, which included teenage twin sons and our teenage daughter, were also engrossed in this atmospheric novel. Fly By Night went on to win the Branford Boase Award and was shortlisted for other awards including the Guardian Fiction Prize. 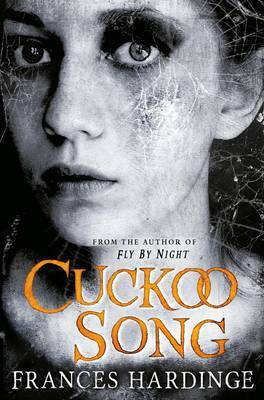 Hardinge’s sixth, and most recent novel for young readers, Cuckoo Song (Pan Macmillan), has just won Best Fantasy Novel in the British Fantasy Awards, the first YA novel to do so. It’s an extraordinary feat. Eleven-year-old Triss and (younger sister) Pen’s older brother Sebastian was killed in the War and Triss has taken on the role of being protected by her parents. Sickly Triss wakes up after falling in the Grimmer. She feels different, with a voracious appetite, dead leaves constantly in her hair and a voice in her head counting down days. As her memory falls into place she remembers that she used to love going to school but her parents thought her over-excited and have kept her away. Her sister, family scapegoat, Pen knows what happened when Triss climbed out of the lake. She still seems to hate her and wants their parents to think Triss is mad but they form an uneasy alliance when Triss rescues Pen at a moment of betrayal. Dolls speak and seem to be half-alive, letters are delivered to Sebastian’s desk at night, Triss’s diaries are destroyed and scissors act strangely around her. Sebastian’s former fiancée Violet returns to the girls’ lives. Intrigue coats every plot movement. Australia’s Cassandra Golds‘s books, particularly The Museum of Mary Child, and Karen Foxlee’s Ophelia and the Marvellous Boy may be closest in style to the moody, gothic tone of Cuckoo Song. The writing in first-person creates a distinctive slant to this tale. The imagery is delectable: ‘Day crept in like a disgraced cat, with thin, mewling wind and fine, slanting rain.’ Triss is a unique character who, like the best protagonists, develops and changes as her story unfolds. Cuckoo Song is an unusual literary gift for girls aged from about eleven to fourteen. Older readers will also enjoy it. I’m just back from a tour of (mostly indie) London bookshops. My visit to the Tower of London was enhanced after seeing Sonya Hartnett’s Children of the King, which alludes to the missing princes held captive by their uncle Richard III in the Tower, in a Notting Hill bookshop. 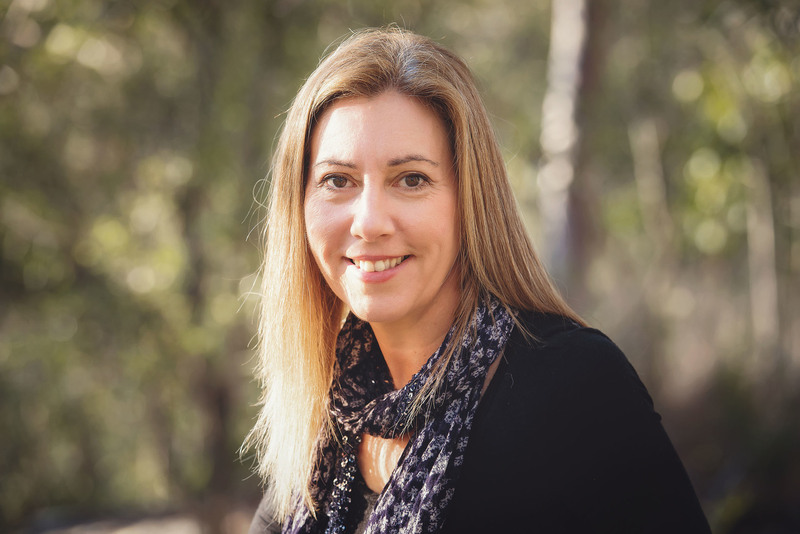 Australian YA, as well as children’s and adult literature, held its head high with sightings of Amanda Betts’ brilliant Zac and Mia, (which I reviewed here) and works by Kirsty Eagar and Melina Marchetta. I was so pleased to see my favourite Marchetta, On the Jellicoe Road on the shelves there. Watch out for the movie. 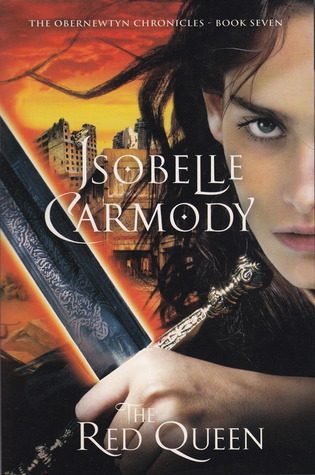 And Jaclyn Moriarty has had a strong following overseas, which her own country is finally catching up with now she is winning YA awards here. Her sister, Liane’s Big Little Lies, the best seller for adults, was everywhere. Margo Lanagan’s The Brides of Rollrock Island, published here as Sea Hearts was visible and I also noticed another crossover series, Tales of the Otori by Lian Hearn. It was great to see some of the incomparable Isobelle Carmody’s stunning YA works. Along with many others, I can’t wait for The Red Queen, the final in the Obernewtyn Chronicles, which is being published this November. This series is world class and dearly loved. How will Elspeth Gordie’s story conclude? Shaun Tan’s Rules of Summer rules the world. It was everywhere, and even featured in bookstore displays. Marcus Zusak’s The Book Thief still has a high profile but Graeme Simsion’s The Rosie Project and The Rosie Effect for adults seemed to be even more popular. Like Rules of Summer, Rosie was everywhere, which makes me anticipate my upcoming conversation with Graeme at the Brisbane Writers’ Festival in September even more eagerly. It is so difficult to write humour and we spent a car trip recalling anecdotes from his books and laughing aloud. 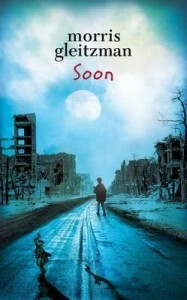 Australian children’s books were highly visible, particularly multiple titles by Morris Gleitzman, including his holocaust series beginning with Once. The latest in the series, the chilling Soon, is now available in Australia, although not quite yet in the UK. Andy Griffiths’ and Terry Denton’s Treehouse series was as ubiquitous as London’s red, double decker buses and John Flanagan’s Ranger’s Apprentice series was also popular. I spied books by Emily Rodda and it was a thrill to see Anna Fienberg’s stand-alone children’s novel, Louis Beside Himself, as well as her Tashi series, illustrated by Kim Gamble. Some Australian adult authors taking shelf space were Peter Carey (Amnesia), David Malouf, Evie Wyld (All the Birds, Singing), Hannah Kent (Burial Rites), Tim Winton (Breath), Steve Toltz (Quicksand) and Richard Flanagan’s The Narrow Road to the Deep North. 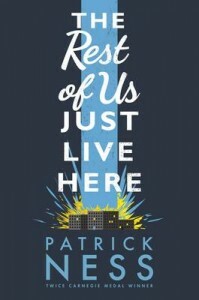 A few standout OS YA authors on the shelves included Mal Peet (who I’ve written about here), Frances Hardinge (Cuckoo Song and Fly By Night) and Patrick Ness, whose latest YA novel, The Rest of Us Just Live Here, will be available in August. It’s one of his best. I enjoyed writing the blog post Books with the word ‘Girl’ in the title so much, I thought I’d do one for books that have ‘boy’ in the title. At first glance, I thought this one might be easier, but let’s see how I go. 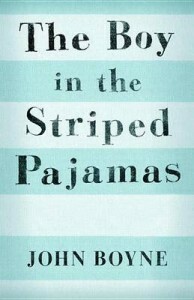 The first book that comes to mind for me is The Boy In The Striped Pajamas by John Boyne. Now a very well-known motion picture film, The Boy In The Striped Pajamas is definitely unforgettable, but did you know it is rumoured that author John Boyne wrote the entire first draft in two and a half days? Amazing! 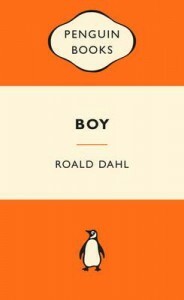 As you might expect, there are a number of YA titles with ‘boy’ in the title, beginning with Boy – Tales of Childhood by none other than Roald Dahl. Published in 1984, Roald Dahl recounts his days as a child growing up in the public school system in England and the living conditions in the 1920s – 1930s. Many of us will remember reading Storm Boy by Australian author Colin Thiele at school and might even admit to crying at the end (I think I had something in my eye). It’s a story about a boy and his pelican and was part of the school curriculum when I was growing up. Another Australian contribution to this list is Ophelia and the Marvelous Boy by Karen Foxlee. Set in a mysterious museum, Ophelia and the Marvelous Boy is a modern day fairytale about the power of friendship, courage and love and of course, never giving up. The Boy Who Cried Wolf is such a familiar story with a powerful message – we all know it – but when you look up the title in any directory you’ll see a swag of authors and can be forgiven for feeling overwhelmed. The edition I’ve selected for this collection is The Boy Who Cried Wolf with The Goose That Laid the Golden Eggs illustrated by Val Biro, primarily because it’s marketed as Aesop’s Fables for Easy Readers. Perfect right? For those who enjoy delving into non-fiction, there’s The Boy Who Was Raised As A Dog And Other Stories From A Child Psychiatrist’s Notebook – What Traumatized Children Can Teach Us About Loss, Love and Healing by Bruce Perry and Maia Azalavitz. 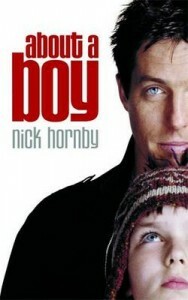 Getting back to adult fiction, there’s About A Boy by Nick Hornby, an entertaining read about ladies man Will Freeman (played by Hugh Grant in the 2002 adaptation) who picks up women by attending single parent groups. His life takes a turn though after he meets 12yo Marcus. So, how many of these books have you read? What have I missed? “Ophelia and the Marvellous Boy”. It’s the story of a lonely young girl who finds a three-hundred and three year old boy locked away in a museum room. It’s a fast paced adventure story with lots of twists and turns. I call a little miners cottage in Gympie, Queensland, home. I share it with too many animals to mention and my adorable daughter. I’m proud of all my works in different ways but “Ophelia and the Marvellous Boy” saved me as a writer I think. It made me want to write again. It made me remember why I write. It was an incredibly joyful story to write. I have an office but I can’t use it. It’s too crowded and cluttered. Sometimes I perform a great ceremonial cleaning of the office and I spend a day writing there but….mostly I write in my bed, in the kitchen, or on the sofa. I keep a cat for company. There is always coffee involved. And usually cake. I read anything that takes my fancy but lately only books I read to my six year old daughter. Lots of Roald Dahl, C.S. Lewis, and just recently A.A. Milne. So many. “The Nargun and the Stars”, “Seven Little Australians”, “The Wizard of Oz series”, all the Enid Blyton books, especially “The Magic Wishing Chair”. Probably the book I read the most though was The Readers Digest “Strange Stories, Amazing facts”. We loved that book in our house. It fell apart with reading. Ghosts, crimes, mysteries, freakish facts…loved it. I would definitely be Gerda from Hans Christian Andersen’s “The Snow Queen”. She is so brave and determined and smart and loyal. She never ever gives up. The first mango of the summer. The first coffee of the morning. Anyone who stands up for what they believe in. At the moment Malala Yousafzai. I recently spent a week talking to hundreds of school kids (8 – 12 year olds) across the Moreton Bay Council region (outer Brisbane). I was blown away by their passion for books and stories, reading and writing. Keeping them reading is maybe the challenge. Do they fall off somewhere between 12 and adulthood??? Where does that passion go? How can we grow life long readers today? Queensland author Karen Foxlee has won three prestigious overseas awards for her gothic children’s fantasy released this year. Foxlee’s book Ophelia and the Marvellous Boy (Hot Key Books) has been selected for three awards in the Middle School category. 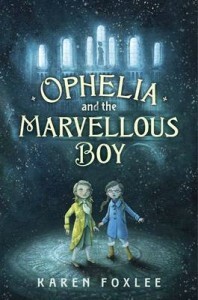 Ophelia and the Marvellous Boy has been named ‘Best Book of The Year’ by the School Library Journal. It was also selected as one of the best three best books by the Publishers Weekly. 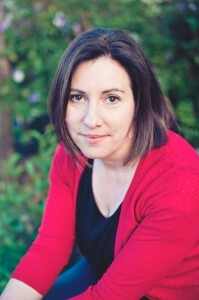 Her second novel, THE MIDNIGHT DRESS (2013) was selected as an American Library Association Best Fiction for Young Adults title earlier this year and was the winner of the Sisters in Crime’s Davitt Award for Best Young Adult Book. About the Book: In a clever twist of the Snow Queen fairytale, 11 year- old Ophelia joins forces with a 303 year-old magical boy to battle ghosts, wolves, misery birds and magical swords in a nail-biting quest to stop the Queen from destroying the world. It all takes place in an enormous mysterious ramshackle museum in a city blanketed under permanent snow. Three gothic novels by Australian authors will intrigue primary-school aged (and slightly older) readers who enjoy reading about danger cloaked in mystique and how children can overcome this. Withering-by-Sea (ABC Books) is written and illustrated by Judith Rossell, whose talent is really taking wings. She has also illustrated picture books, which include Ten Little Circus Mice and Too Tight, Benito and she wrote and illustrated Ruby and Leonard. 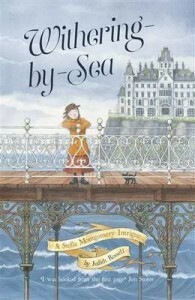 Withering-by-Sea is the first of the ‘A Stella Montgomery Intrigue’ series – what a fascinating name for a series. 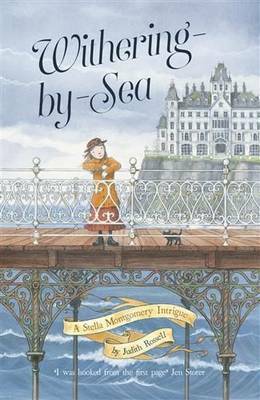 Stella lives in the Hotel Majestic at Withering-by-Sea with her formidable aunts. The scene is set for skullduggery when Stella witnesses new guest, Mr Filbert, bury something in the conservatory, the lush garden Stella regards as her Amazon playground. She is thrown into a diabolical situation when she witnesses a burglary and murder. Another atmospheric gothic tale is Ophelia and the Marvellous Boy by Karen Foxlee (Hot Key Books). Foxlee’s debut was a novel for adults, The Anatomy of Wings. 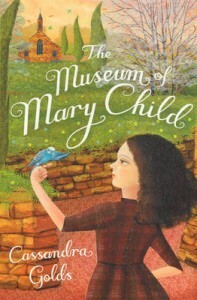 She followed that with The Midnight Dress (one of my 2013 best books for young adults) and now she has triumphed with an original story set in a snowy city’s museum. With a countdown to Christmas Eve, Ophelia’s father is preparing a sword exhibition. The museum where he works is a fantastic maze of exhibits and displays: the exhibition of elephants, the pavilion of wolves, an arcade of mirrors, a room full of telephones, a gallery of teaspoons, a checkerboard floor, paintings of girls in party dresses and, most importantly, The Wintertide Clock. The whole building is like an enormous cabinet of curiosities and this is where Ophelia discovers the Marvellous Boy, whose story intersects with that of the evil Snow Queen. Ophelia must race time and winter to save those she loves from the Snow Queen but she is invested with the power to be the defender of goodness and happiness and hope. 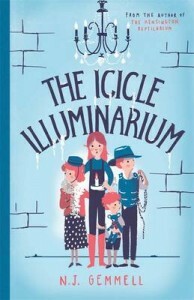 N.J. Gemmell’s sequel to The Kensington Reptilarium for both girls and boys, The Icicle Illuminarium, is also structured loosely around Christmas. The Australian Caddy children, who are living in England, are preparing an extravaganza for the Twelfth Night of Christmas when the story begins. But when their father’s health declines, they set off to find the mother who is presumed dead but may actually be alive. Their quest takes them to the mysterious, moth-eaten Icicle Illuminarium. 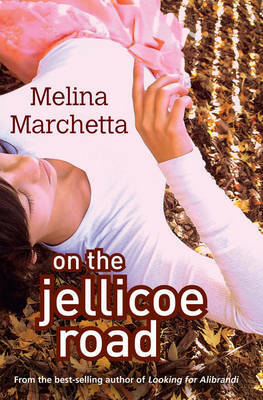 See more about this book at http://blog.boomerangbooks.com.au/meet-n-j-gemmell-author-of-the-icicle-illuminarium/2014/10. These three stories are well written and imaginative, with elements of the macabre, but they ultimately reward hope, love and goodness over evil in true Christmas spirit. I’ve just returned from visiting some major cities in the USA. It was illuminating to see which Australian literature is stocked in their (mostly) indie bookstores. This is anecdotal but shows which Australian books browsers are seeing, raising the profile of our literature. 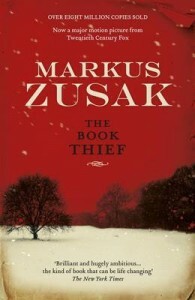 Marcus Zusak’s The Book Thief was the most prominent Australian book. I didn’t go to one shop where it wasn’t stocked. The ABIA (Australian Book Industry) 2014 overall award winner, The Rosie Project by Graeme Simsion was also popular. And a close third was Shaun Tan’s inimical Rules of Summer, which has recently won a prestigious Boston Globe-Horn Book picture book honour award. Some stores had copies in stacks. I noticed a few other Tans shelved in ‘graphic novels’, including his seminal work, The Arrival – which is newly available in paperback. One large store had an Oceania section, where Eleanor Catton’s Man-Booker winner, The Luminaries rubbed shoulders with an up-to-date selection of Australian novels. 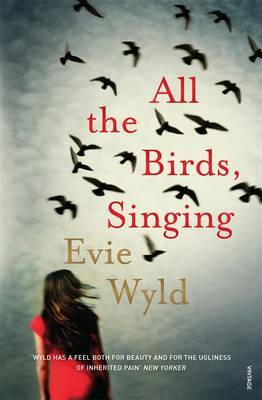 These included hot-off-the-press Miles Franklin winner All the Birds, Singing by Evie Wyld and Hannah Kent’s Burial Rites, plus expected big-names – Tim Winton with Eyrie, Richard Flanagan’s The Narrow Road to the Deep North and works by Thomas Keneally and David Malouf. Less expected but very welcome was Patrick Holland.I chaired a session with Patrick at the Brisbane Writers’ Festival a few years ago and particularly like his short stories Riding the Trains in Japan. Australian literary fiction I found in other stores included Kirsten Tranter’s A Common Loss, Patrick White’s The Hanging Garden and some Peter Carey. One NY children’s/YA specialist was particularly enthusiastic about Australian writers. Her store had hosted Gus Gordon to promote his picture book, Herman and Rosie, a CBCA honour book, which is set in New York City. They also stocked Melina Marchetta’s Looking for Alibrandi and Saving Francesca, John Marsden, David McRobbie’s Wayne series (also a TV series), Catherine Jinks’ Genius Squad (How to Catch a Bogle was available elsewhere) and some of Jaclyn Moriarty’s YA. 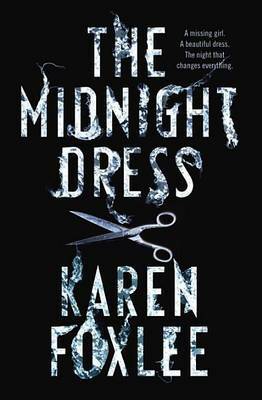 One of my three top YA books for 2013, The Midnight Dress by Karen Foxlee was available in HB with a stunning cover and Foxlee’s children’s novel Ophelia and the Marvellous Boy was promoted as part of the Summer Holidays Reading Guide. 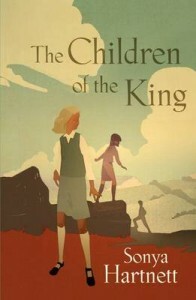 Elsewhere I spied Margo Lanagan’s The Brides of Rollrock Island, published as Sea Hearts here (the Australian edition has the best cover); Lian Tanner’s Keepers trilogy; John Flanagan’s Ranger’s Apprentice and Sonya Hartnett’s The Children of the King. These are excellent books that we are proud to claim as Australian.